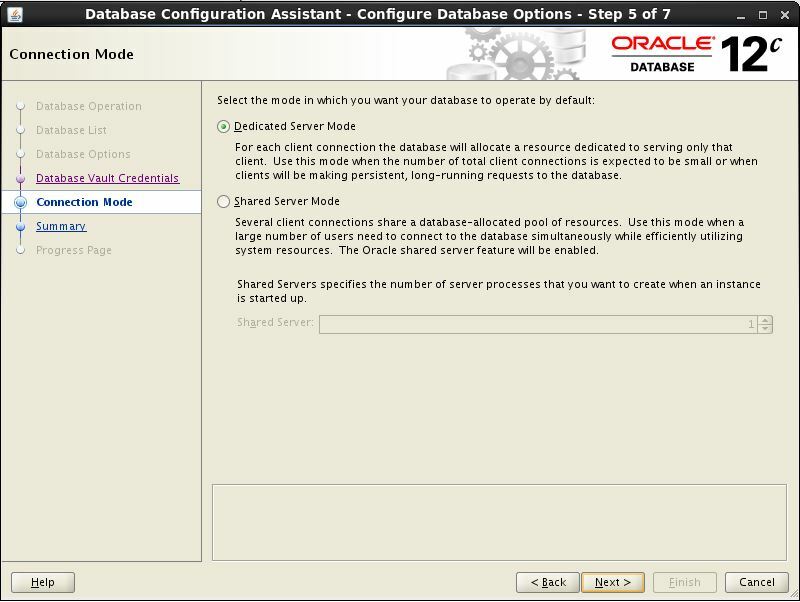 The database configuration assistant is the preferred tool for creating and configuring databases. It has been available for years and with every database version, it’s getting better and better. With the new multitenant architecture there are several new options with the DBCA wizard. In this article we will look at creating and configuring the CDB, using the DBCA. 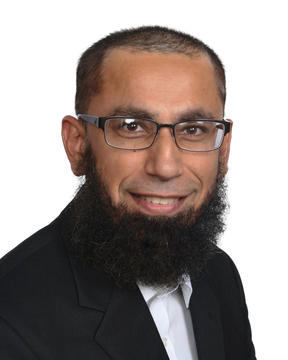 The process of creating a CDB is very straightforward. 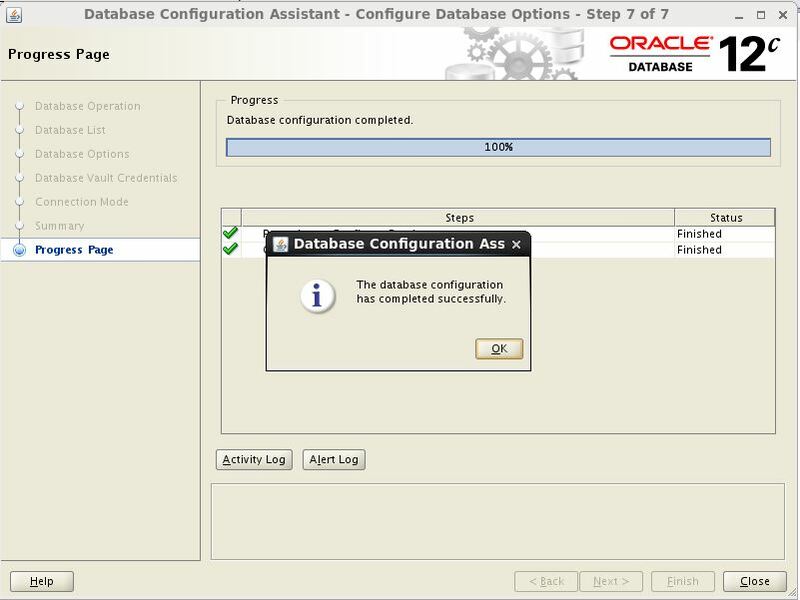 The installation screens are pretty much the same as in the previous versions except for checking off a checkbox to let the DBCA know that database being created is a container database. When you are creating a CDB using OUI, you can only create one PDB – though you can add more later. Alternatively when you invoke DBCA separately after the installation, you can create multiple PDBs in one go. Once the CDB has been created, it doesn’t mean that everything has been set and done. You can configure several options later on if you wish to. 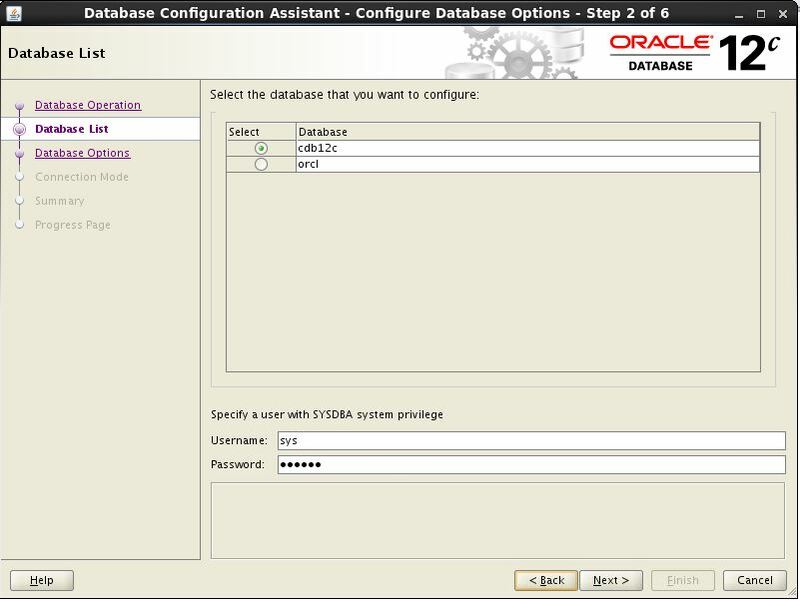 To configure a CDB you invoke the DBCA and following screen is presented. 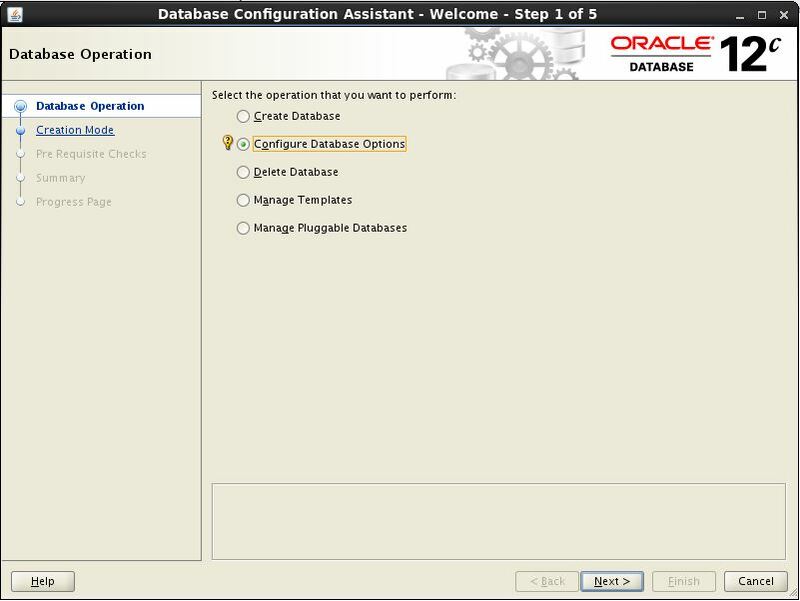 Choose the Configure database options and click Next. 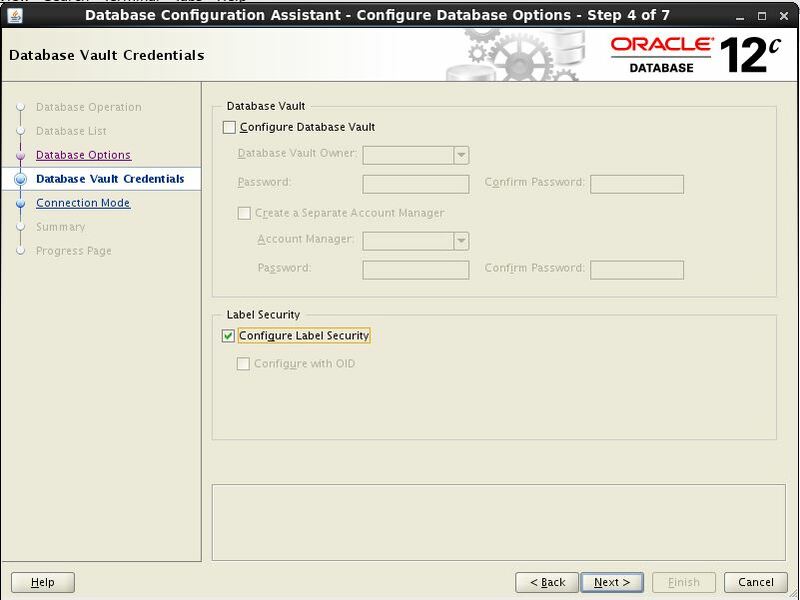 Choose the database that you want to configure, provide administrator credentials and click Next. Select the standard missing components if you want to install any of them. In our case all were installed already. Click Next. 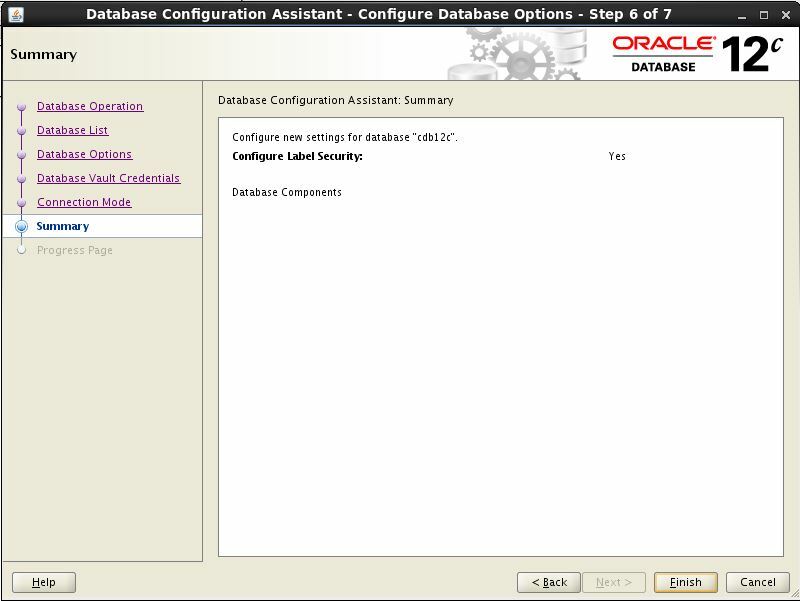 Select the additional options that you may want to configure like Label Security, Database Vault etc. Click Next when done. If you want to change the mode of the database then you can do it here. Click Next. If you are OK with the Summary screen, click on Finish. 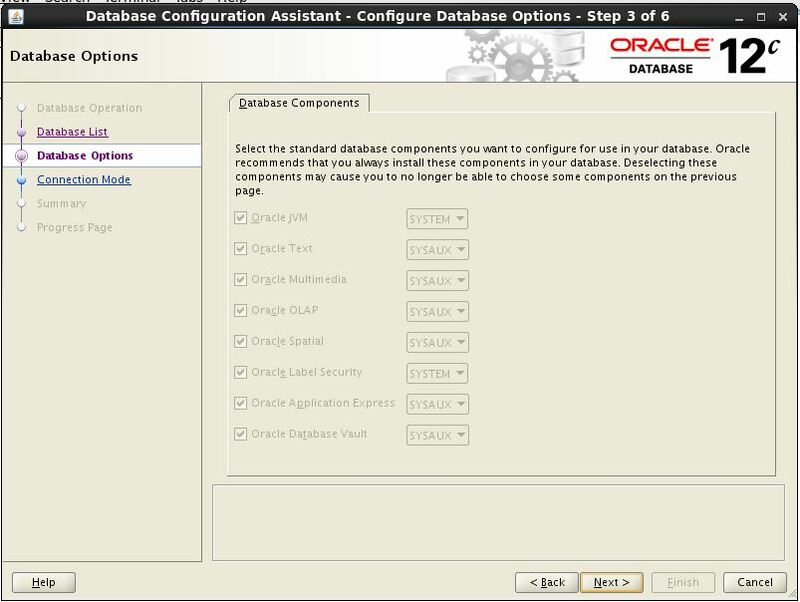 The DBCA will now configure the database for selected options. Once configuration is completed, click the OK button and the click on the Close to Exit the DBCA.